The dispute over the deployment of a U.S. anti-missile system between South Korea and China has finally been resolved. The two governments announced a joint declaration Wednesday on normalizing their relations. South Korea's Ministry of Foreign Affairs issued a joint statement on its website at 10 a.m. after holding bilateral meetings on the THAAD issue with China. In the statement titled, "Results of bilateral talks on improving bilateral relations between South Korea and China", diplomatic authorities of the two sides had a discussion on the issues of the Korean Peninsula as well as discussions between Nam Gwan-pyo, the Second Vice Chief of the Presidential National Security Office, and Kong Xuan You, Chinese Assistant Minister of Foreign Affairs. According to the statement, the Korean side recognized the Chinese side's position and concern on the THAAD issue, and made it clear that the THAAD system deployment in the country does not aim at third countries based on its original purpose and does not harm China's strategic security interests. The Chinese side reiterated that they oppose the THAAD system deployed in South Korea in order to defend national security. At the same time, the Chinese side took note of the Korean side's position and hoped that the Korean side would deal with the relevant issue appropriately. The two sides also agreed to continue to find a solution to the THAAD issue through dialogue between their militaries. 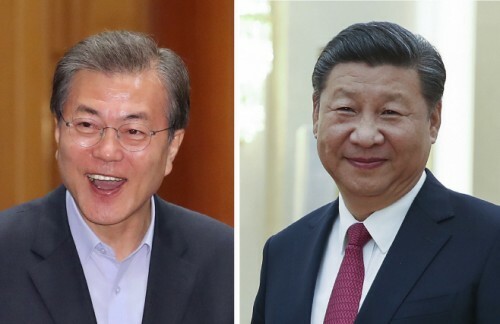 "The two sides attach great importance to S. Korea-China relations, and agreed to seek the development S. Korea-China strategic cooperative partnership in accordance with the joint statements between the two countries," the statement said. As a result, China's retaliatory measures for 13 months after the announcement of the government's THAAD deployment in July last year, and the dispute between the two governments are expected to be settled.